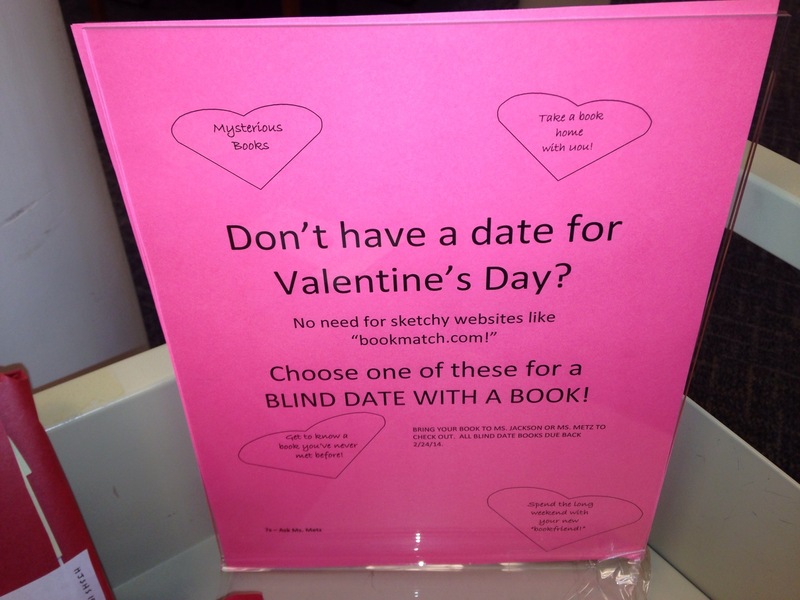 This year I decided to try what I have been hearing about from other libraries — a blind date with a book program. 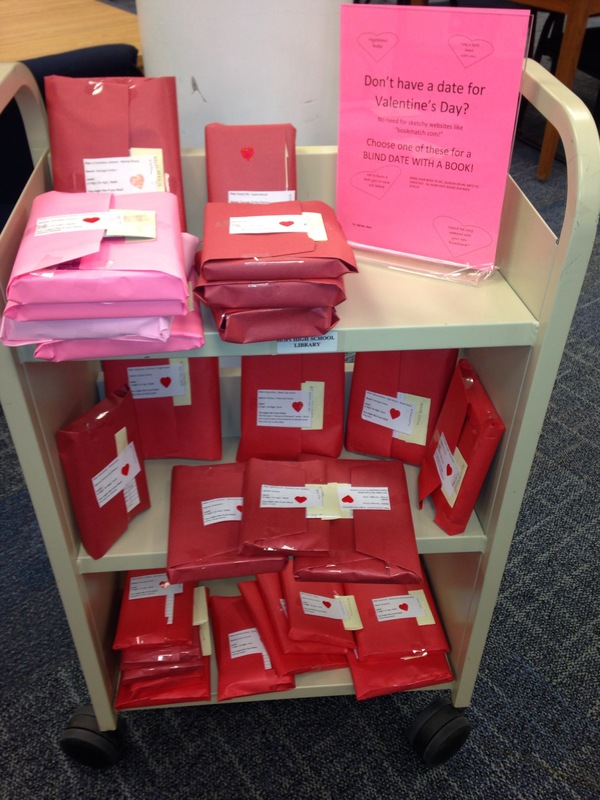 I selected several good books that were under-circulated, and created description cards (see Valentines Blind Date Books). Next I wrapped them in red and pink butcher paper, and after cutting off the titles from the cards, taped the cards to the front. 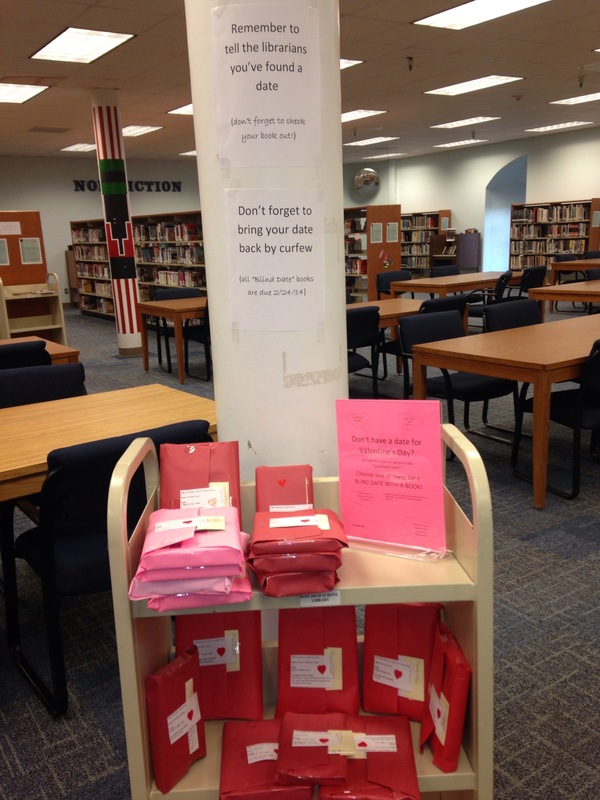 I put them out this week for Valentine’s Day, and they have been getting checked out! It remains to be seen whether they will all go home with someone by the weekend.